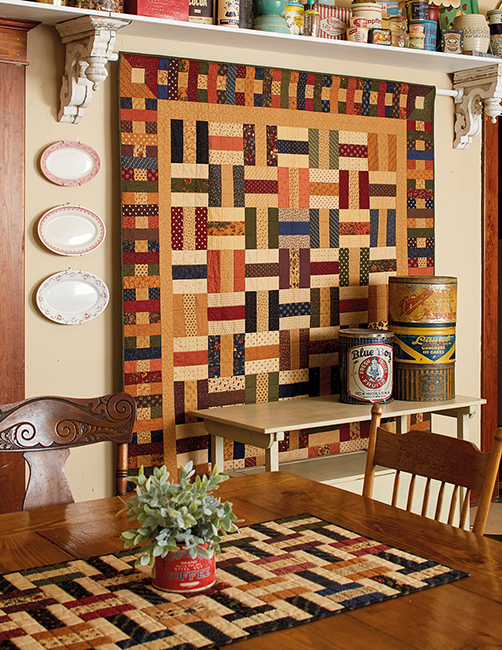 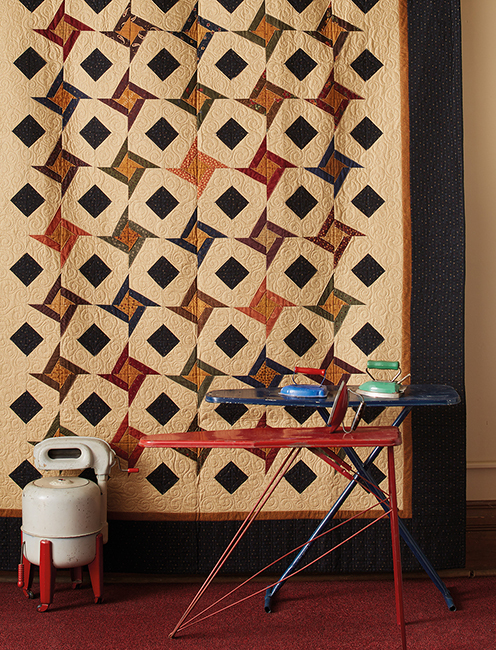 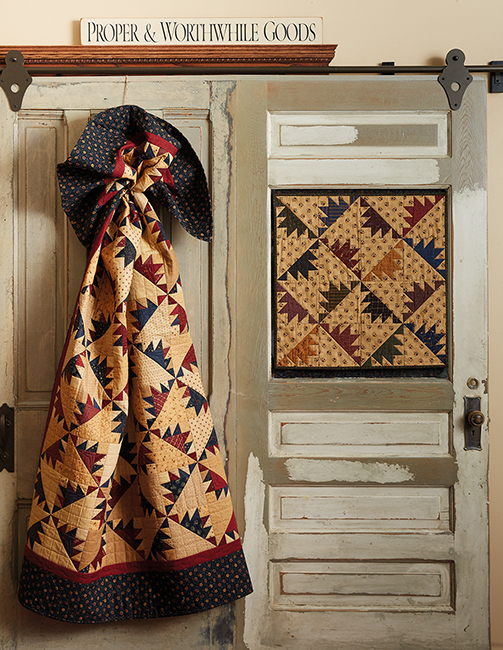 Sew quilts in the instantly recognizable style of Kansas Troubles Quilters--two ways! 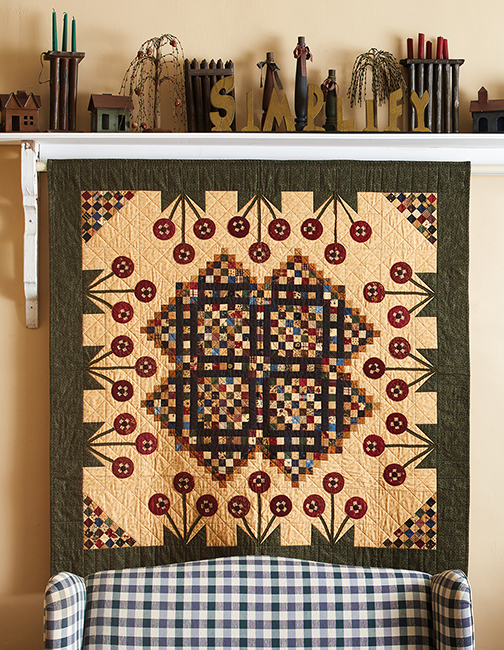 Some designs are traditionally pieced, simplified for smooth and easy piecing. Others use Lynne's clever layered-patchwork technique, where pinked-edge precuts reduce cutting time, minimize bulky seams, and skip pressing steps. 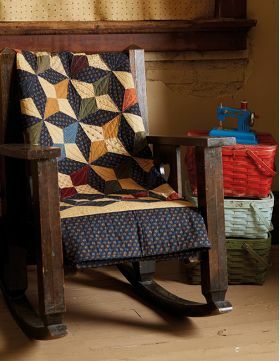 The raw edges of layered-patchwork blocks barely fray when washed, giving a fluffy, snuggly finish. 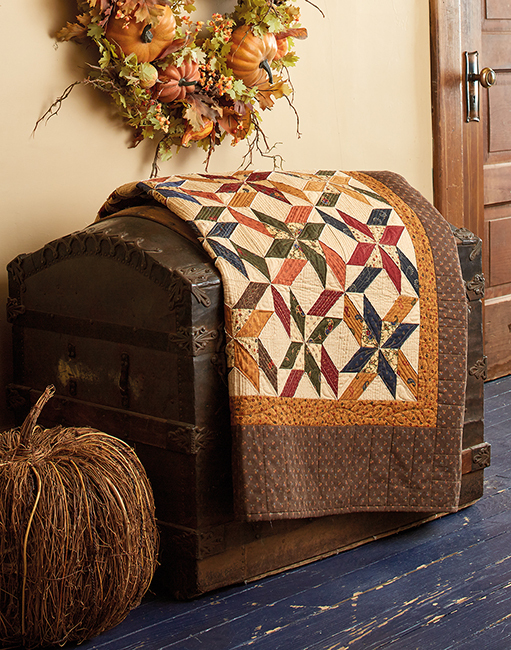 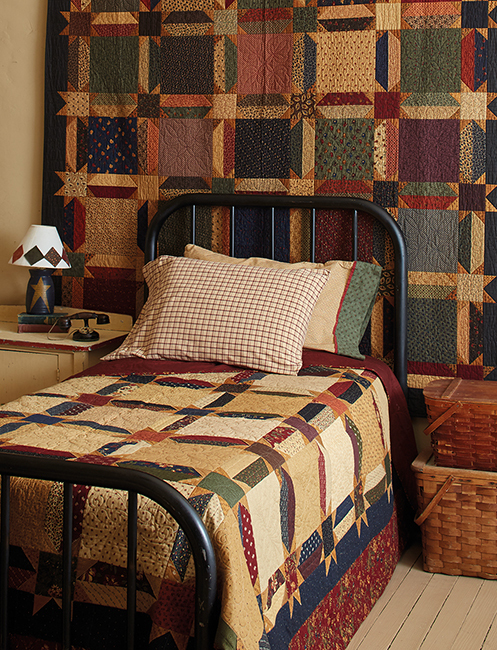 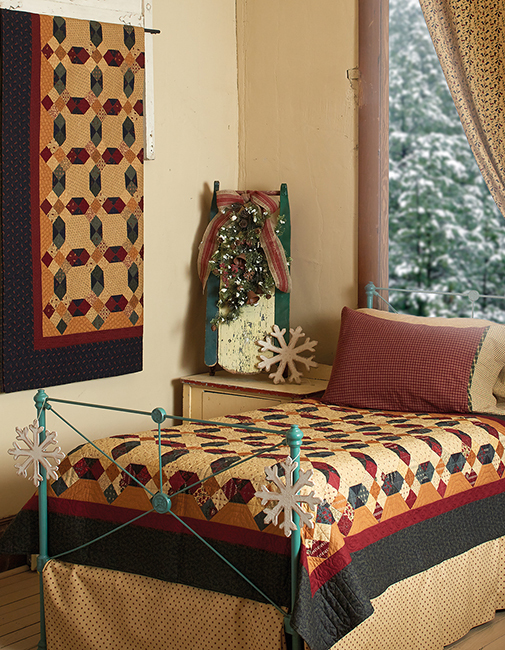 You'll love the look of both kinds of quilts: cozy, country-style designs that call out "cuddle me!" Have you ever heard of Lynne's layered patchwork technique? OMGoodness. 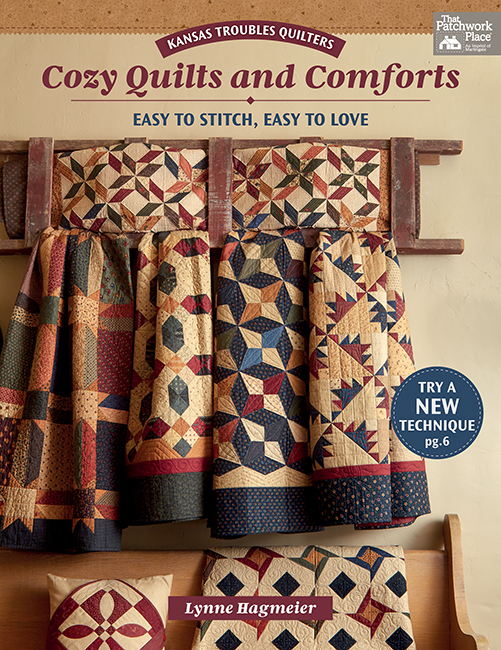 I had to read about it twice not because it was difficult or poorly explained - I just could not believe my eyes! 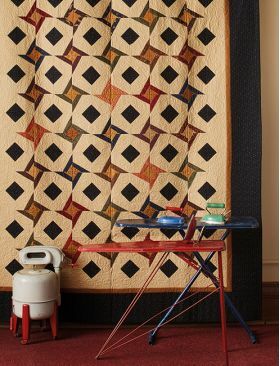 What a great way to use precuts or fabric from our own stash which we cut using a pinked-edge blade on the rotary cutter. Her designs are gorgeous! Lynne includes in the book smaller versions of some of her projects, too, in case we want to try her technique on a smaller scale first. 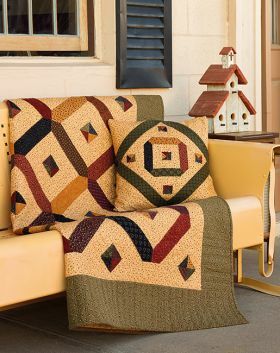 Her layered patchwork technique is well explained with step-by-step photographs beginning on page 6. 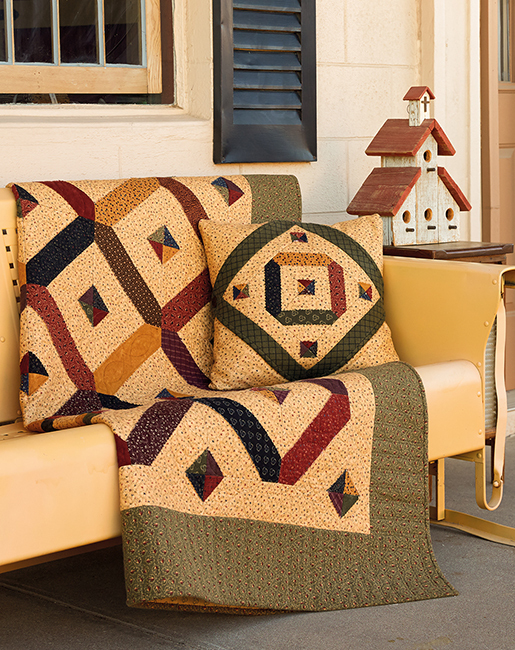 Then, with each pattern, you get instructions unique to the project you are working on so there is no guesswork. This book is a wonderful addition to my quilting library, and Lynne's layered patchwork technique is another trick I will have up my sleeve and use not only on the book's projects but also the next time I am stuck trying to figure out how to simplify a block's construction. Brilliant, Lynne! 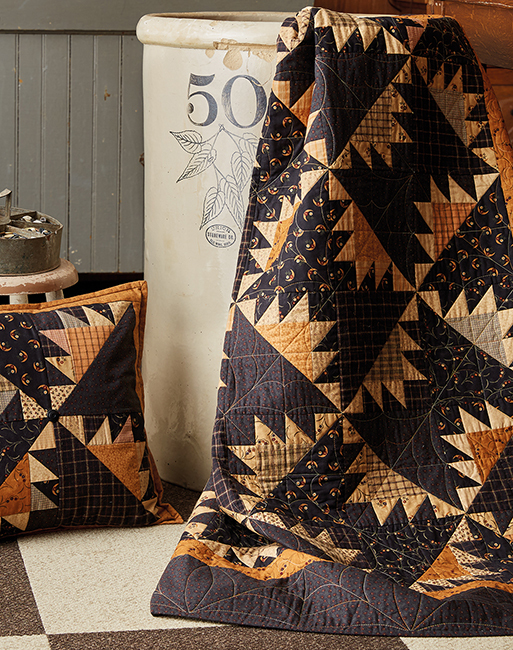 Lynne Hagmeier and her husband, Robert, live outside of Bennington, Kansas, where she grew up. They work together at the KT Quilt Shop, hosting quilting retreats, traveling to quilt guilds and shops across the country, and teaching on quilting cruises. 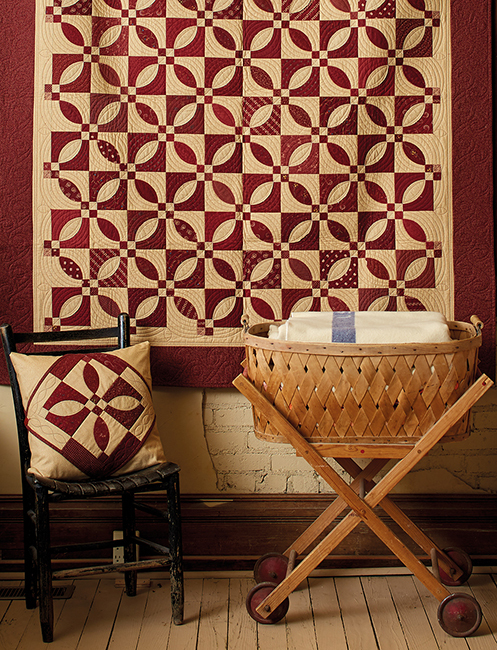 Downtime is spent relaxing with their collective brood of six kids and nine grandkids, scattered across the Midwest. 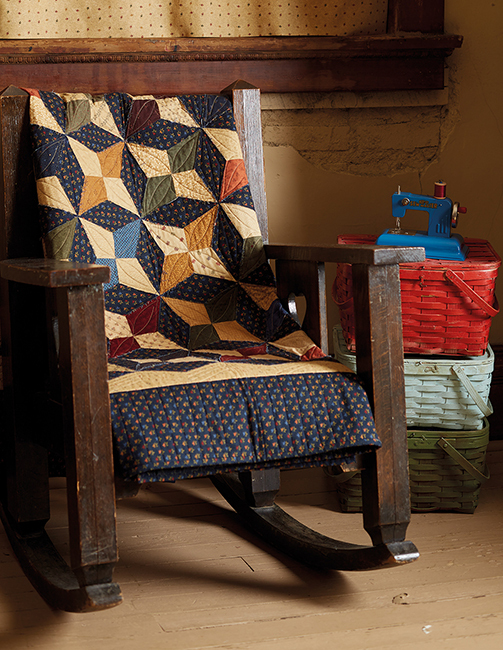 A social worker in her first life, Lynne feels blessed to work in a business with creative individuals who live their dreams through fabric and quilts.